The everyday apparent ease of language comprehension conceals the considerable complexity §of the processes that are necessary to its success. In particular, this work examines evidence for the controversial idea that the comprehension system considers multiple interpretations of the evolving sentence in parallel. This idea, already well established for lexical items, is controversial for syntactic structures. §§In two experiments, evidence is presented in support of the idea that the comprehension system activates multiple possibilities for how the sentence will continue. Using event-related potentials (ERPs), an N400 was obtained at "shot" in the sentence "The claim that the cop shot the informant might have affected the jury" even though the sentence continues in a plausible way. The N400, therefore, indicates that the comprehension system was likely considering the sentence "The claim that the cop shot " as well. 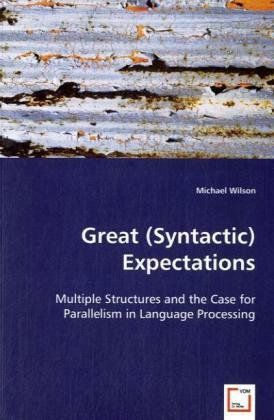 Using this type of evidence, this work argues for the existence of parallelism in the comprehension system and provides an overview of current theories in the comprehension literature.